Amber and Tony Bender at the M.D. Anderson Cancer Center Research Lab named in honor of their daughter, Addison Faith Bender. The only thing worse than hearing the horrific words, “Your child has cancer,” is learning that there really isn’t much that can be done about it. That’s why Amber and Tony Bender of Kingwood created Addi’s Faith Foundation. Tony and Amber founded Addi’s Faith Foundation 10 years ago to honor their daughter, Addison Faith Bender, who died of a cancerous brain tumor at age 2, and to fund childhood cancer research as well as financial and emotional support for families struggling to care for a child with cancer. “We believe there is a cure out there and together, we can find it,” said a determined Amber. The 10th Annual Walk by Faith 5K Race/Walk benefiting Addi’s Faith Foundation will be held Sunday, Nov. 11 at 8:30 a.m. at the University of Houston. Addi’s Faith also hosts “Addishack,” their annual golf tournament each April at Tour 18 in Humble, but the not-for-profit foundation also relies on revenue from members of the Sunshine Circle who pledge a monthly donation. The funds are used to help families in need. “There are hundreds of very similar stories I could tell about families who are caring for a child with cancer and facing added expenses, too,” Amber said. She describes a single mom with three children, one with cancer. After a long session of treatments, the child was going to be released from the hospital but the mom was worried about being evicted from their home. 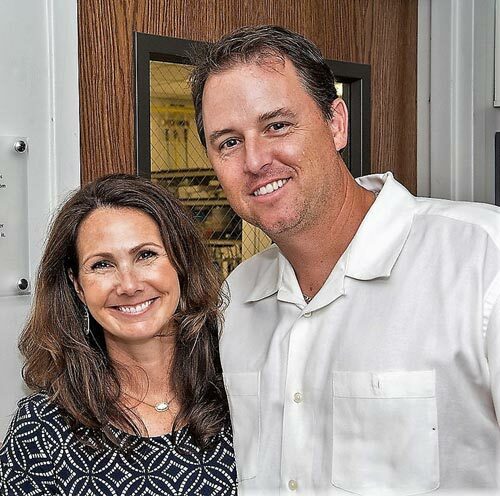 Less than four percent of cancer research funding is allocated to pediatrics, so Tony and Amber have put an added emphasis on funding efforts to find safer and more effect treatments for kids and, perhaps, one day finding a cure. Addi’s Faith Foundation supports the work of Vidya Gopalakrishnan, Ph.D., associate professor of Pediatrics at M.D. Anderson Cancer Center, who has developed groundbreaking therapy for treating pediatric brain cancer. Tony and Amber hope to expand Addi’s Faith Foundation by expanding nationally. For more information about participating in the Annual Walk by Faith at the University of Houston on Nov. 11, or to become a sustaining member of the Sunshine Circle, visit AddisFaith.org.